With the American economy still sluggish and a disappointing employment report, why have interest rates been rising? Good question. The answer has to do with the European bond market. After a year and a half of all time lows, it has reversed its course; consequently, investors are quickly selling their bond market holdings, which forces prices lower and interest rates higher. The U.S. rates are inter-connected with European rates, so this has pushed mortgage rates back up to the 4% to 4.25% range for the 30-year fixed rate. The 15-year fix rates are in the 3.25% to 3.375% range, so don’t look for anything that starts with a two. Is this movement temporary and will rates drop by to record lows? Friday we got a brief reprieve, but rates were back up Monday morning. No one can predict the future. 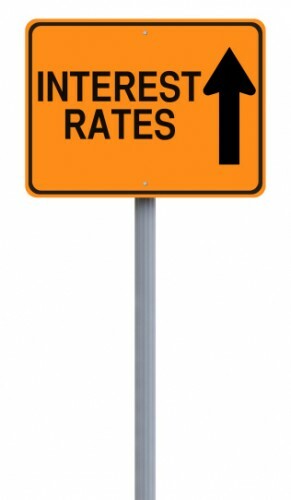 Right now, rates are volatile and one day can make a difference of an eighth of a percent (.125%). If you are risk adverse, the safest move is to lock in your rate. If you are refinancing and not under time pressure, then you have the luxury of floating rather than locking to see what happens. Last Friday, for example, we saw a dip in rates, but it lasted only the day. It could happen again–no one knows. Please note that interest rates quoted are for top tier credit and at least 20 percent down on a single family residence. Factors such as your credit score, down payment, property type (condo, co-op, manufactured home), and region of the U.S. all affect the credit score.